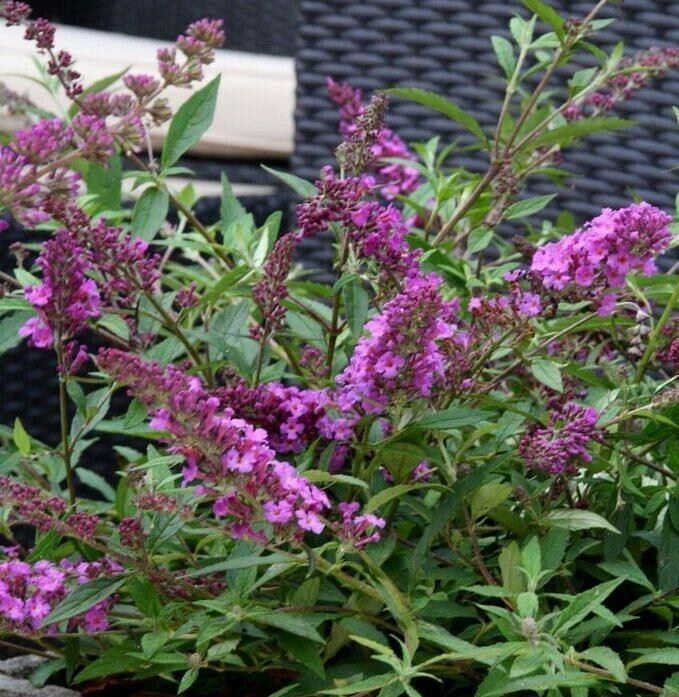 A fantastic recent introduction of the ever popular Buddleia. 'Dark Pink' has a petite, compact, branching growth habit making it the ideal plant for that small, tricky space. 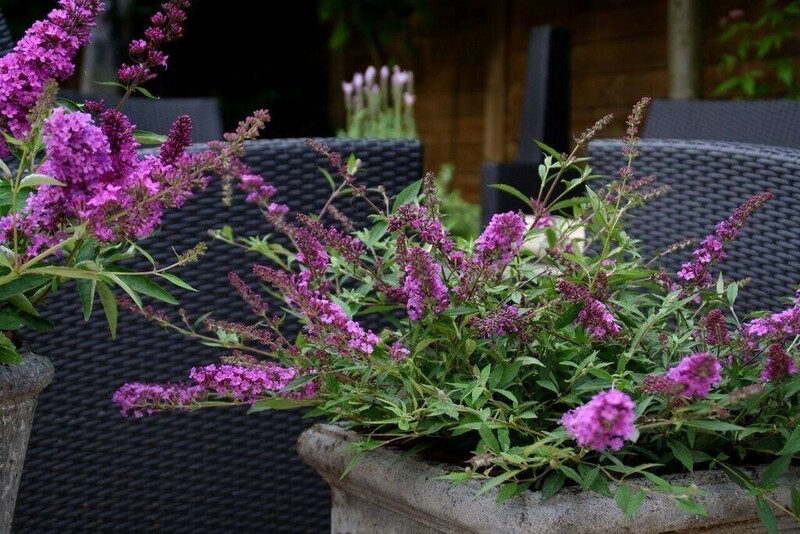 Long flower heads of outstanding, dark-pink flowers bloom from early Summer, right through until the middle of Autumn giving you colour and interest for a very long period. 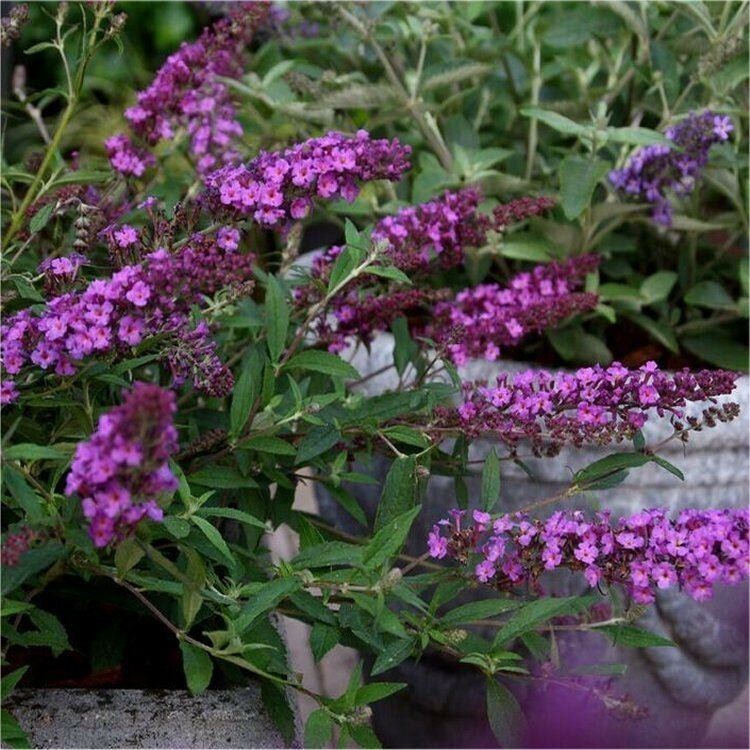 Reaching a maximum height and spread of around 2-3ft, this tame Buddleja is perfect for containers or even used en-mass as an unusual groundcover. 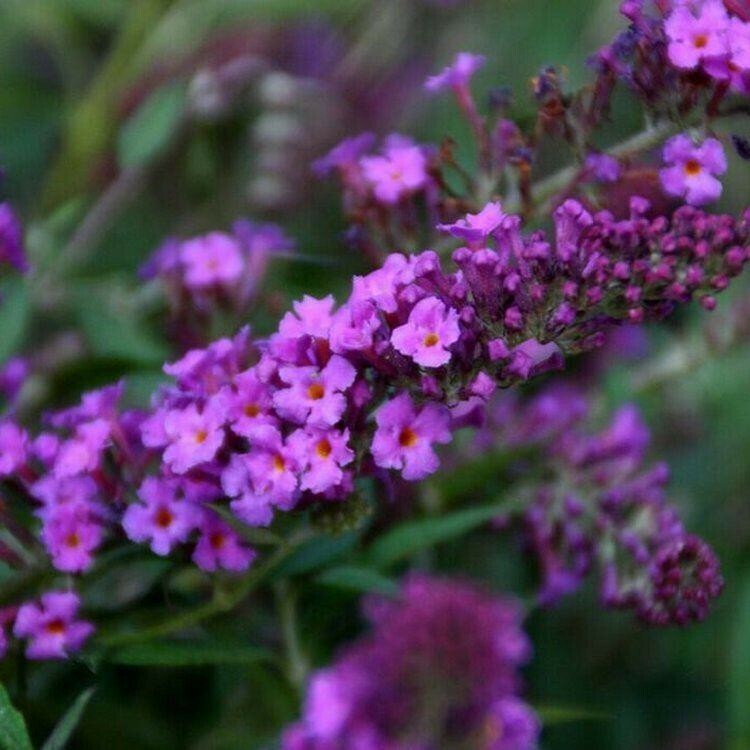 If you've a tricky bank or slope to cover, these petite buddleia plants could be the answer. Very easy to grow and fully hardy, this is a truly spectacular cultivar, do be sure to plant somewhere where you will be able to view the plant as tends to attract lots of butterflies. Supplied in approx. 2-3 litre containers.